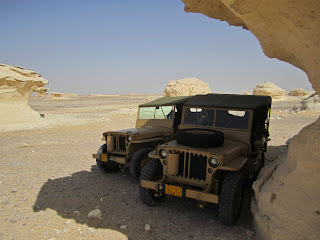 After an exhausting couple of days we are deep in southern Egypt at a place called Mut in the Oasis of Dakala. (Those following the Live Map on the web site will notice the track stops short of Mut - Flat battery on the G Spot locator) We arrived late last night and are staying in an Hotel in the centre. 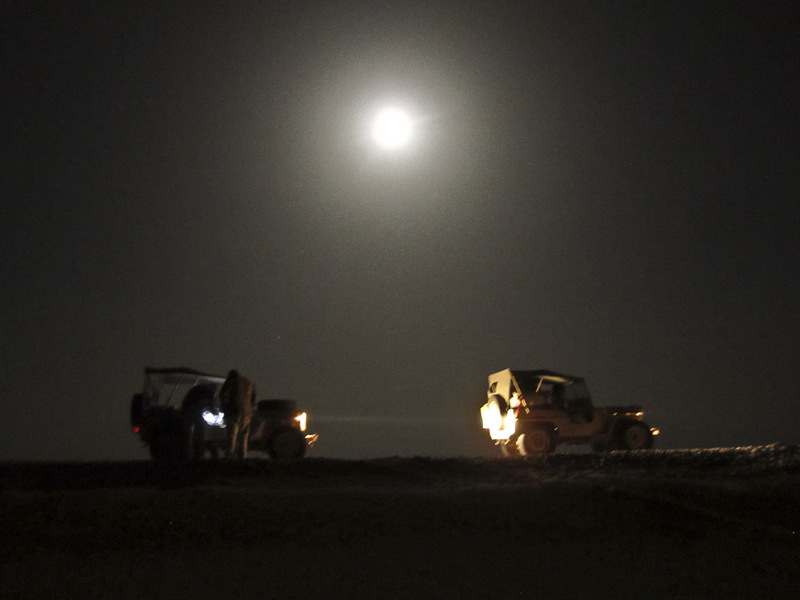 It has been a long and at times trying couple of days involving a lot of night driving to cover the vast distances we have had to. We are a good 2000 km from Alex now, but both Jeeps are performing famously, the only problem being a blocked fuel filter on the Willy’s - possibly from using too many old jerry cans out here. The muck and rust may have got into the fuel tank, then into the filter. We were supposed to collect the desert permit here in Mut, but apparently the Military’s fax machine had broken so it is not here, delaying our entry to the desert. 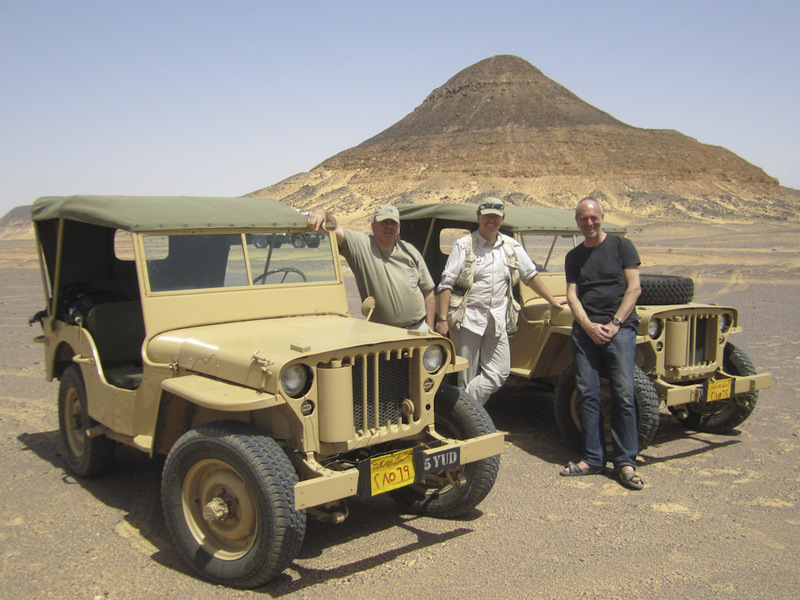 Two of the Siag team have gone by taxi on a 400 km return trip to physically collect it! If all goes to plan we should dive off the tarmac into the sand at about lunchtime. 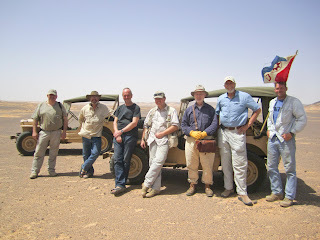 That will be the end of the good Egyptian 3G signal and any further updates until we reach Siwa on 19th. 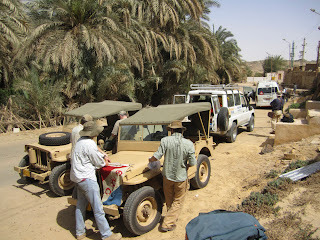 Pictures show our morning prep in Bahariya outside the Hotel Qasr El Bavity (very nice), a stop on the long night of Sunday 8th (700 km Alex to Bahariya), John Sam and myself in the Black Desert and the Jeeps cooling off in the spectacular White Desert, and the whole team also in the Black Desert. That Fax Machine was broken in January, and they would have known that the other end. 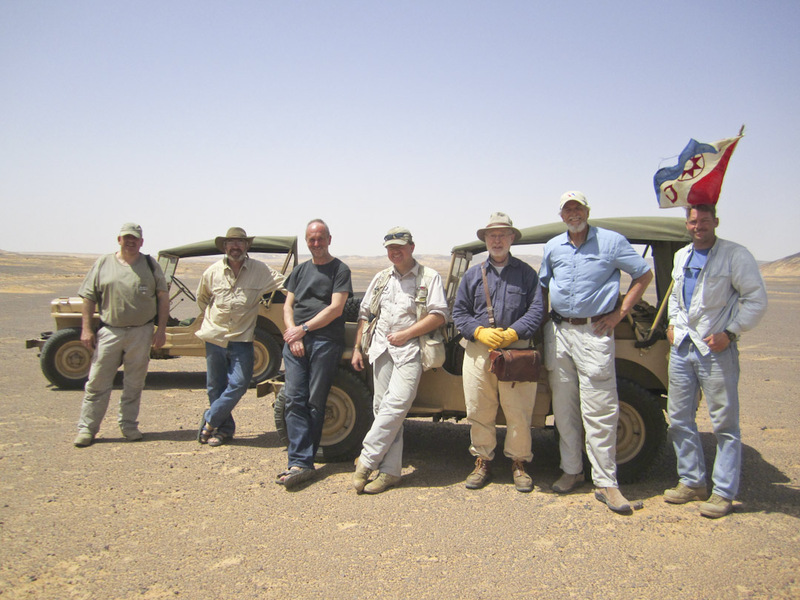 We had to do a trip to Kharga as well. Have a good trip. Trust me to come up with something inane; as I am at home, in some pain from shingles, this is all making me VERY envious! The photos have set the mood, especially the jeeps cooling off, so I'm looking forward to a photo fest & trip news on the 19th from Siwa. @ Affer... how about Harry and Winston?